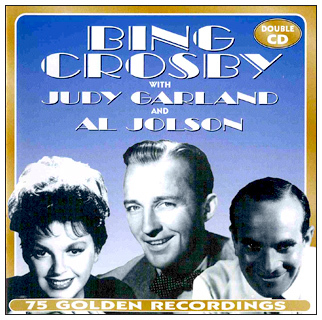 This double CD combines the previously released 1993 "When You're Smiling" CD of Judy and Bing Crosby radio performances with a previously released CD of Bing and Al Jolson radio performances, both by Parrot Productions. Images and information on this page provided by Damian. Thanks Damian! on the CBS Radio show "The Bing Crosby Show"
in 1951 & 1952, exact dates listed below.